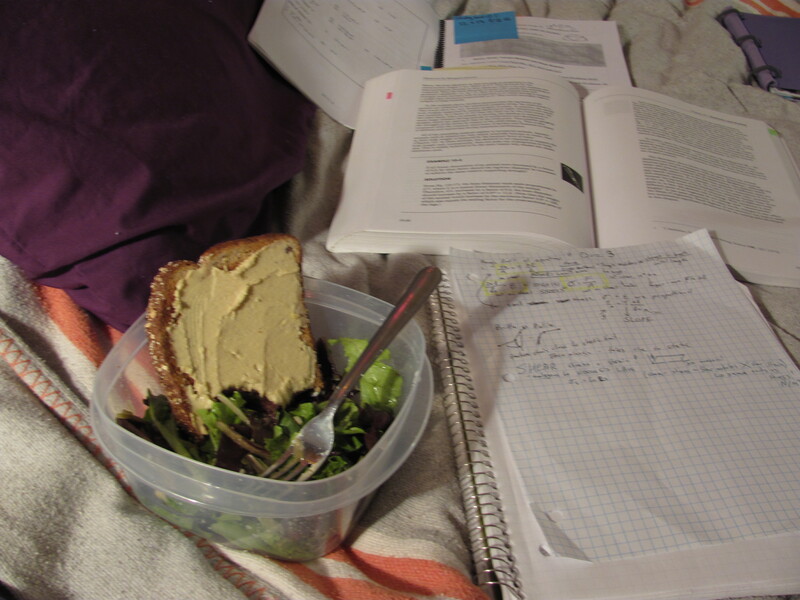 Hummus on toast, and a salad, and physics. I bumped into this blog on being a healthy student today, and thought it had some pretty solid advice. Summer gives me time to ‘recover’ from school, read books, and reflect on the past year. You are a human being first. You are a student, you might also have a job, but remember you are a person first. This is a pretty all encompassing piece of advice, so maybe I should break it down. You will make mistakes. You will have to forgive yourself for them. You need to sleep, eat, and bathe. Dead serious about this. It sounds silly, but it’s very possible to get wrapped up in the stress of tests, papers, and sometimes the drama that is life. Medical stuff happens, family stuff happens, and you might have to ask for an extension on an assignment. You might fail a course. You’re only human, and this is only life. 4 month calendar with due dates for all assignments. Know the weight of assignments. 40% is a lot different than 2%. Why? I honestly find there is too much to be done at university. Push does often come to shove, and I have to make attack plans, and keep my priorities straight. Randy Pausch is a guy who knows some stuff about priorities. Not a quick lecture, but a lot of valuable stuff. 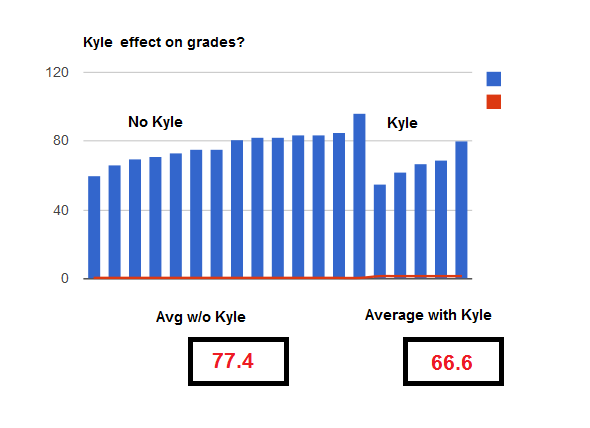 In actuality, there is no statistically significant "Kyle effect". Learn how you study. Be honest about how and where you get stuff done. Oh, and don’t blame other people. At least try to be healthy. The link at the beginning pretty much summed this up, so I’ll just add a bit. Have a fridge in your room. Leftovers, fresh fruit, veggies, yogurt, milk. Breakfast is easier if you don’t have to go somewhere to get it. Exercise. I play DDR. I go for walks. Hopefully I can find a part time job where I get to do some lifting and bending and moving and such. Alcohol. Not your friend. Neither is weed! I really won’t go on at length. It’s simple that neither is going to help you in your academic career. Ask questions. Life is too short to be lost. Meet lots of people, keep the good ones around. Wade in all the way. University is a big, exciting and, a little scary. Don’t let scary stop you. Don’t go home every weekend to do your laundry, and don’t let yourself hole up in your single room. Don’t feel like you have to be the same person you were in highschool, and don’t feel like you have to change. Vague, but it’s true.